One day in 1746 a 17-year-old youth arrived in Whitby on the Yorkshire coast to be apprenticed to a master mariner engaged in the coal trade between the North East and London. You can visit the mariner’s handsome white harbour-side house where the young man lodged when not at sea, and where he studied by candlelight deep into the night in the attic, now the Captain Cook Memorial Museum Whitby. 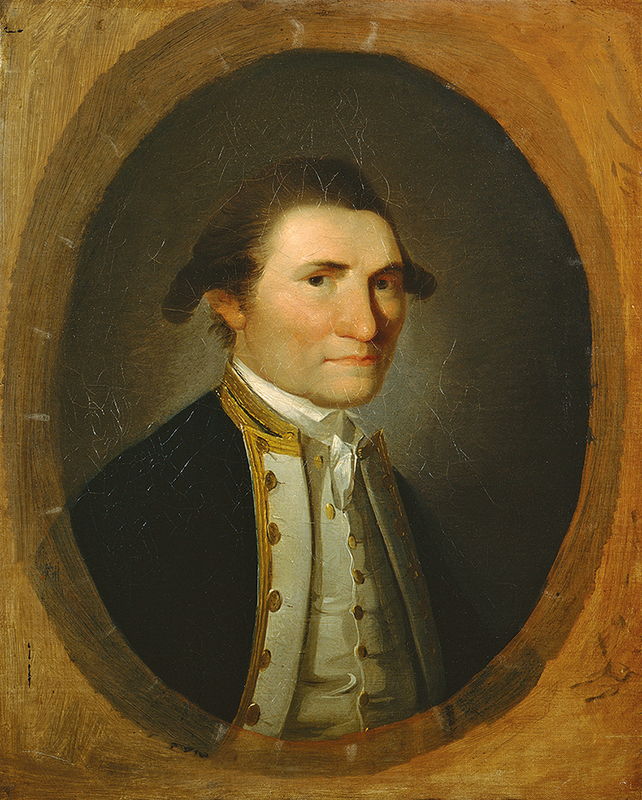 The youth was none other than James Cook (1728-1779), who would go on to join the Royal Navy and make three epic voyages that radically altered perceptions of world geography, set new standards in map-making and placed him among the world’s greatest navigators. The Yorkshire coast where Cook acquired his first whiff of maritime adventure is as alluring today as ever, stretching from Saltburn-by-the-Sea down to Spurn Point. At its northern end, picturesque fishing villages cling to cliffs and huddle around harbours. 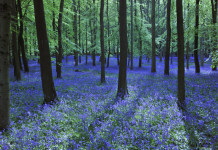 Traditional seaside resorts – Whitby, Scarborough, Filey and Bridlington – helter-skelter south, interspersed by the dramatic chalk cliffs of Bempton and Flamborough, a birdwatcher’s paradise thanks to the gathering here each year of nearly half a million seabirds. Of course, Cook isn’t the only person to be inspired by Whitby. In the summer of 1890, the Victorian author Bram Stoker came to stay and, touring the gaunt ruins of the medieval abbey and the graveyard of St Mary’s Church perched on East Cliff, found the dramatic setting for the chilling night arrival of his bloodsucking vampire, Dracula. In the guise of a black dog, Dracula bounds ashore from a storm-tossed ship and heads up the 199 steps to the church before claiming his first victim. The Dracula Experience on Marine Parade, town walks and occasional events at the abbey make the most of associations with the Gothic horror classic. 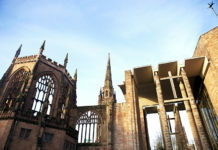 You can discover more about the abbey’s long history in the visitor centre. Then, after taking your fill of panoramic views over town and sea, head down to Whitby Museum in Pannett Park. Here you can find out about the port’s 18th- and 19th-century heydays of shipbuilding and whaling, see Jurassic fossils collected along the Yorkshire coast, as well as locally mined jet – the black mineral popularised for mourning jewellery by Queen Victoria. You can still buy fossils and jet jewellery in Whitby shops, or follow nose-twitching smells to the smokehouse of Fortune’s Kippers in cobbled Henrietta Street, established in 1872 and still tempting tastebuds. Local fishermen ensure you are spoiled for choice for seafood. Quayside, a restaurant serving Yorkshire fish and chips, deep-fried in beef dripping, has the added attraction of being housed in a building that once contained the library where Stoker came across the name ‘Dracula’. Heading north along the coast from Whitby (and resisting the inland enticements of the North York Moors National Park), you pass the sandy beaches of Sandsend and Runswick Bay where red-roofed cottages stick limpet-like to the cliffs and artists reach for their paint boxes. The fishing village of Staithes, higgledy-piggledy around the cosy harbour, is another magnet for artists. It’s also where James Cook worked in a haberdasher’s shop before he left for Whitby, a link you can explore further in the quirky Captain Cook and Staithes Heritage Centre. 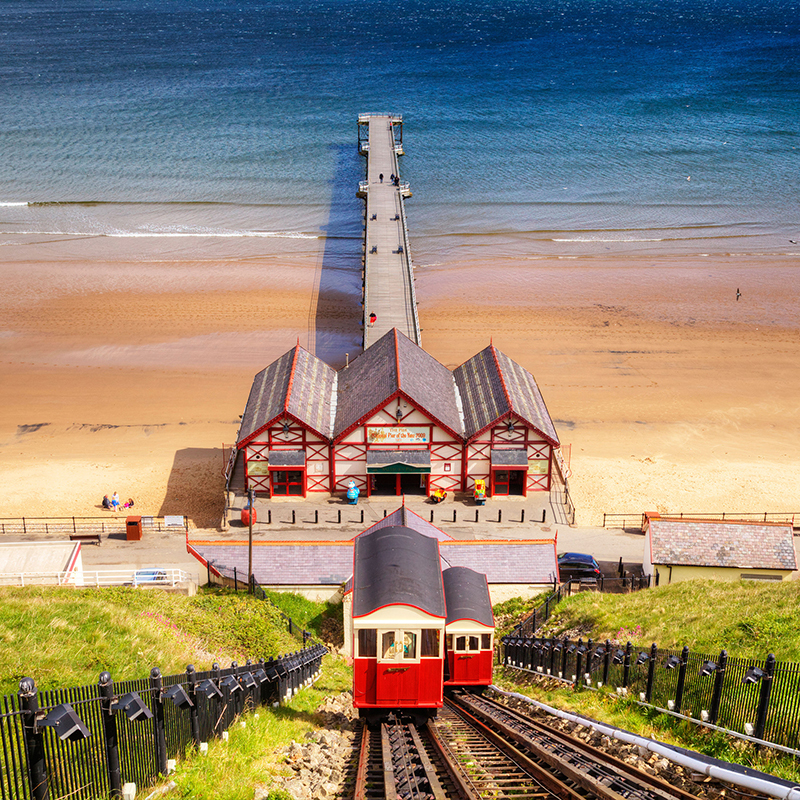 On, then, to Saltburn-by-the-Sea, which developed from a fishing hamlet into a holiday resort in Victorian times. Gently descending 120 feet aboard Britain’s oldest working water-balanced cliff tramway (1884) to the restored pleasure pier is just one delight redolent of the era. 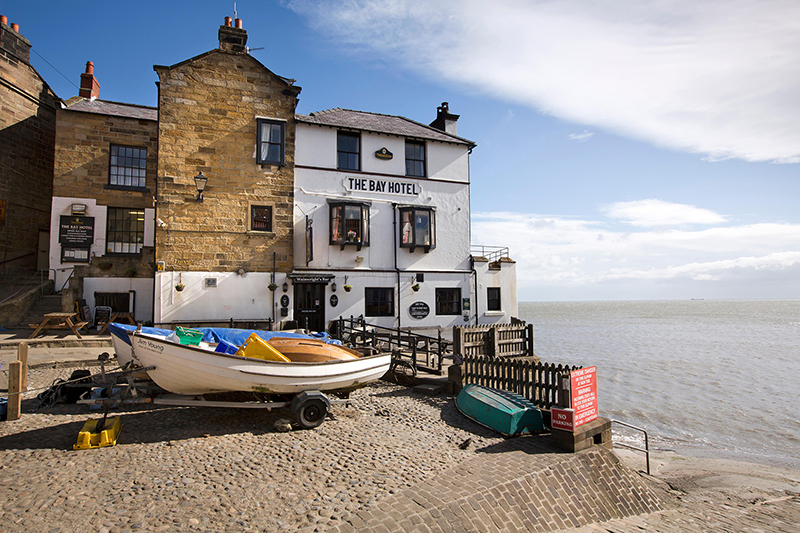 Yet a century earlier, the area was notorious for ‘free trade’, spearheaded by ‘King of the Smugglers’ John Andrew, landlord of The Ship Inn next to the beach. The olde worlde pub is just the place to watch waves over lunch. Secluded bays and caves right along the coast favoured smuggling, and south of Whitby, Robin Hood’s Bay was reportedly the busiest smuggling community on the Yorkshire coast in the 18th century: with so many hiding-places and secret passages that a bale of silk could pass from the bottom of this steep little village to the top without leaving the houses. Check the board next to the Slipway in the Dock and join local storyteller Rose Rylands, top-hatted and carrying a lantern for the occasion, on a ghost walk through intriguing alleyways to hear more tales of shipwrecks and smugglers. Further south again, Ravenscar boasts remains of the Peak Alum Works, managed by the National Trust. It evokes a once-thriving industry – alum was used as a fixative for dyes in textiles – and shows how quarrying helped shape the rugged Yorkshire coastline, uncovering many fossils in the process. The beach at Ravenscar, like many Yorkshire beaches, is good for fossil hunting. Leaping onwards to Scarborough, you will find amazing fossils from East Yorkshire’s ‘Dinosaur Coast’ in the Rotunda Museum. But the resort, as well as Filey and Bridlington, are chiefly famed for their beaches with all the ice-cream parlours, bucket-and-spade fun, and seafood stalls that make the great British seaside. Bridlington’s historic harbour is the largest shell sh port in England. 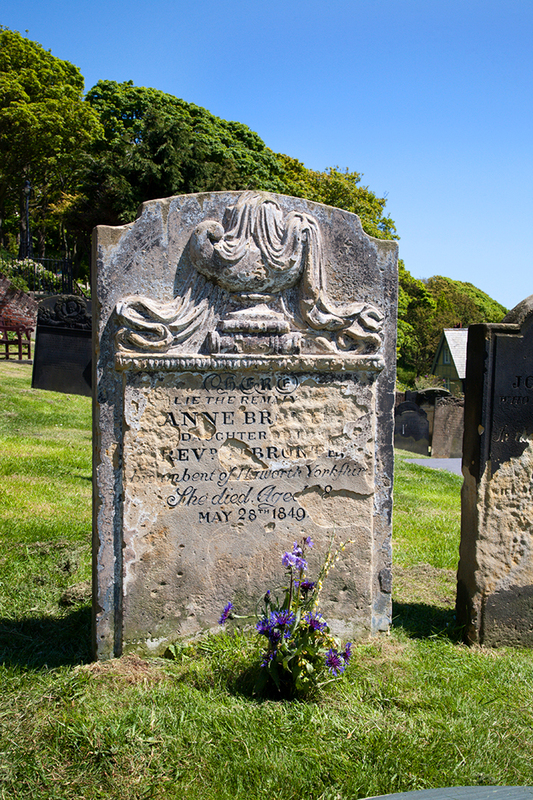 In St Mary’s churchyard below Scarborough Castle is the grave of Anne Brontë, the youngest member of the literary family, who died in the town in 1849. Anne spent several happy summer holidays here in the 1840s and set scenes in her novel Agnes Grey here, notably when Edward Weston proposes to Agnes: “I shall never forget that glorious summer evening… watching the splendid sunset mirrored in the restless world of waters at our feet”. Charlotte Brontë visited both Bridlington and Filey in the 1850s; the former said to be the model for the “clean and ancient town of Bretton” in her novel Villette, the latter leading her to record in a letter, “the sea has all its old grandeur”. That is still the case today all along Yorkshire’s magnificent coast. There are train stations at Bridlington, Filey, Scarborough and Whitby. For a treat, enjoy a trip along the Whitby coastline aboard the ‘Bark Endeavour Whitby’, a scaled replica of Cook’s original ship. The Magpie Café overlooking the harbour at Whitby is famed for its seafood dishes, from Whitby crab bisque to Whitby kipper with brown bread, and seafood chowders. Overlooking Robin Hood’s Bay, Raven Hall Country House Hotel, Ravenscar, was once home to King George III’s physician – the ‘mad’ king allegedly stayed here during treatment. Dine in the Panorama Restaurant with sumptuous views and stay in a bedroom or suite in the hotel, or a lodge in the grounds. 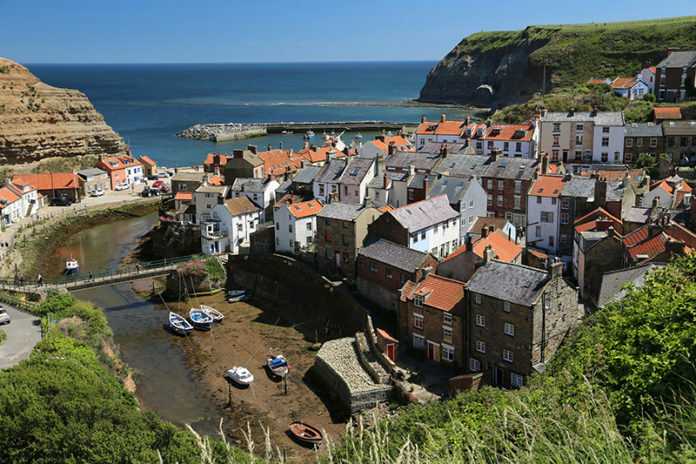 Discover more Yorkshire places associated with Captain Cook on a circular 70-mile Cook Country Tour, including his Birthplace Museum in Marton, the Schoolroom Museum in Great Ayton, as well as coastal Staithes and Whitby.